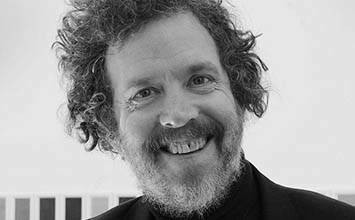 "The only thing I feel like I know is that I want to make things"
Martin Creed is an artist best known for turning the lights on and off. Winning the Turner Prize (the most prestigious art award in the UK) in 2001 for an installation that consisted only of that action, his conceptual art practice has been ridiculed by sectors of the media but nevertheless left him a hugely significant and well-regarded contemporary artist with a prominent national and international profile within the art world. Creed's work takes everyday objects, throwaway materials and playful subversions of familiar spaces and asks its viewers to divine meaning through the experience of their viewing. In doing so he raises questions about the material requirements of art and the hang-ups of skill, effort and training that dictate how we judge quality. Although rejecting the label of conceptual art, his work is deeply invested in the notion that art is, and indeed should be present all around us, requiring only attention. This leads to installations, music, performance and objects that are playful and often amusing in their subversive call to reconsider what art is, what it does, and who it is for. Creed's work is grounded in the everyday and mundane, made strange by the frame they are placed within. He does so by using familiar objects, materials, or actions in unusual ways, such as structuring them around a rhythm or adhering to tight rules. This has included arranging objects by size, height or volume to create sculptural installations, or creating paintings by marking canvases with the strokes of different sizes of household brushes. Creed's actions as an artist makes his audience reconsider the world around them by reappraising the familiar, foregrounding the unacknowledged beauty that exists in the everyday. 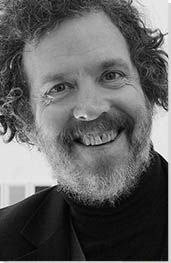 Creed's work often includes humor, prankishness and/or direct challenges to notions of value, worth and skill. His artworks are conceptually sophisticated but almost deliberately invite the response 'but I could have done that'. This has caused his work to be ridiculed and condemned as a 'con', but that reaction too forms part of its impact. Implicit in this is a challenge to the art market, the international gallery system, and perhaps capitalism itself, where a simple action or everyday object can have its value hugely increased by its framing as an art object. Although best known as a visual artist, Creed is also a musician, and ideas of musical rhythm and notation appear throughout all his practice. Scores and notation structure and dictate the experience of his work, with incremental progressions particularly common, as in the graphic patterns of his paintings or in his reimaging of the Scotsman Staircase in Edinburgh, Work no.1059. Since his Turner Prize win, Creed has created a series of large public pieces, several of which are now highly regarded as monuments to civic or institutional pride (such as the steps, or his neon installation at the Scottish National Gallery of Modern Art). Despite its media characterisation as impenetrable or elitist, Creed's work has great popular appeal, confirming his egalitarian approach to the making and viewing of art. Creed was born in Wakefield, England in 1968 before moving to Scotland at three, where his father (an ironmonger) lectured on glassmaking and jewellery at the Glasgow School of Art. Creed grew up in a musical as well as artistic family. His grandmother was a concert pianist, and Creed began to learn to play the violin at four and the piano at twelve. As he remembers, "I was taught as a child the most important things were music and art." These two forms would later be combined throughout his own artistic work. The work comprises a crumpled piece of paper, tightly packed into a ball. It is presented in a cardboard box, surrounded by shredded paper packaging, also designed by Creed. The instructions for Work 200: Half the Air In A Given Space are as follows: "Calculate the volume of the space. Using air, blow up white 12in balloons until they occupy half the volume of the space. As usual the space should be full of air, but half of it should be inside balloons...". As work that is different each time it is displayed, it has no permanent dimensions or appearance. Work No. 227: The lights going on and off comprises an empty room, which is alternately lit for five seconds and in darkness for five seconds - a pattern that repeats ad infinitum. The work uses the existing light fittings and interior space of the gallery it is installed within rather than any external equipment. As such it is created out of the ordinary and everyday mechanisms we interact with, perhaps confounding the viewer's expectations as to the nature of the installation. The phrase "EVERYTHING IS GOING TO BE ALRIGHT" in large neon letters was designed to fit the length of the Scottish National Gallery of Modern Art's facade, and installed there to mark its 50th anniversary in 2009. The installation has since become part of the Gallery's identity, regularly photographed by visitors and used in publicity shots. Other versions of the work exist, including variants in Times Square in New York and at the Rennie Museum in Vancouver. This work is made up of five thick strokes of dark red acrylic paint, the bottom stroke spanning the width of the canvas and each subsequent stroke reducing in height and width. The overall effect is reminiscent of a stepped pyramid or ziggurat, with the rest of the white ground on the canvas left exposed. Work 1105 is one of a series of paintings in this style, which the artist began in 2006. They were made shortly after the artist's return to painting, after he became disillusioned by the medium in his years as an art student. They do however continue to correspond to Creed's minimalist practice and ambiguous relationship to skill and artistic convention. The paintings resist any representational analysis, echoing the experiential minimalism of painters like Mark Rothko. This work constitutes Creed's restoration of the Scotsman Steps in Edinburgh. The steps were formerly in a poor state of repair but remained an important historic part of the cityscape. Creed was commissioned by the Fruitmarket Gallery to create a public artwork to change the public's perception of the steps and to bring art into their daily lives. In response to this commission the artist clad each of the 104 steps in a different kind of marble. This was potentially inspired by Italian techniques, as Creed currently lives on Alicudi island near Sicily and Scotland has an enduring history of Italian immigration. The idea follows Creed's 2010 solo exhibition "Down Over Up", which brought together various works inspired by progressions by degree - whether this be size, musical pitch or tone. It took two years of architectural engineering and complex stonework to plan and deliver the installation.